Go21 is all about positive momentum for people with Down syndrome and their families in Canada. 21 refers to the extra chromosomal material from the 21st chromosome that determines if a person has Down syndrome. 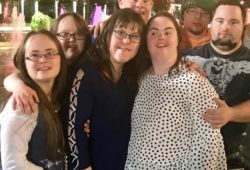 The Down syndrome community identifies with 21 as a unique number that stands out. Go21 can also be a Golf Tournament For Down Syndrome Awareness or a Bowl-a-thon For Down Syndrome Awareness. But wherever you go in your community or across the country, when you see the Go21 banner flying, then you will know that you are supporting a person with Down syndrome in your community. There is strength in “Go”. There is advancement in “Go”. There is strength and advancement in the Down syndrome community. Go21 is our community. The event is a fair or festival-style event that has activities for people of all ages. It is a safe place for people with Down syndrome and their families to make friends, build networks, and strengthen their community. The event is a great opportunity to learn more about people with Down syndrome, their challenges, and their accomplishments. The event encourages dialogue about all aspects of Down syndrome. Supporting the walk ensures CDSS is able to fund the resources necessary for teaching and educating expecting parents of children with Down syndrome, helping self advocates find education and employment opportunities, and distribution of materials to schools. In memory of Gage’s joy at the pool, we invite everyone to join us in the pool for a “Toonie Swim” with your bright and colorful socks on! The $2 entry to the event will go towards helping spread awareness, advocacy and inclusion for individuals with Down syndrome, just like Gage. This is Go21 YEG’s 14th Annual Walk for Edmonton Down Syndrome Society, with a whole new look! 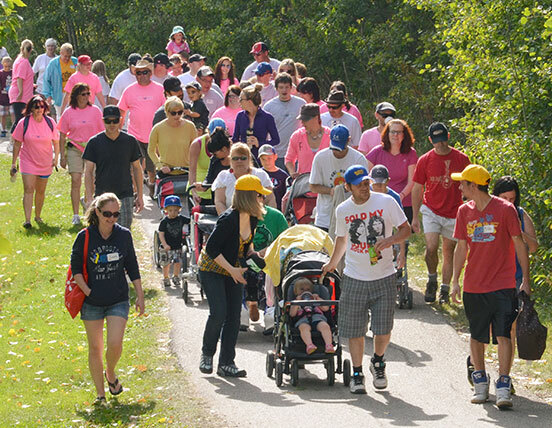 Join the Edmonton Down Syndrome Society community and approximately 500 registrants for our signature walk around Hawrelak Park. Join us for a fun day with bouncy castles, balloon artists, face painters and Hunter the Oilers mascot and other surprise visitors you won’t want to miss! Why should your community have a Go21 event? Go21 is a flexible event model. You are not restricted to hold Go21: Walk for Down Syndrome Awareness. If you think your community will be better served through a hockey tournament, yoga workshop, or anything else that promotes action and activity, Go21 can be modelled to suit your event’s needs. Go21 offers more support. Canadian Down Syndrome Society (CDSS) will be able to offer more for the event before, during, and after in the way of merchandise, communications, and advertising. Go21 maintains brand consistency. Everything will be branded with the CDSS red and black colours and asterisk that represent Down syndrome in Canada. Go21 is also consistent with existing CDSS initiatives: 21 Magazine and 21 Monthly. Go21 is cost effective. You will be able to keep a greater share of the funds raised in your own community, as well be able to spend less on the event. 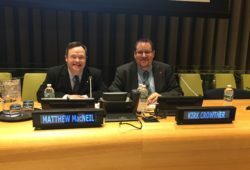 More resources and support will be given to supporting people with Down syndrome in Canada!